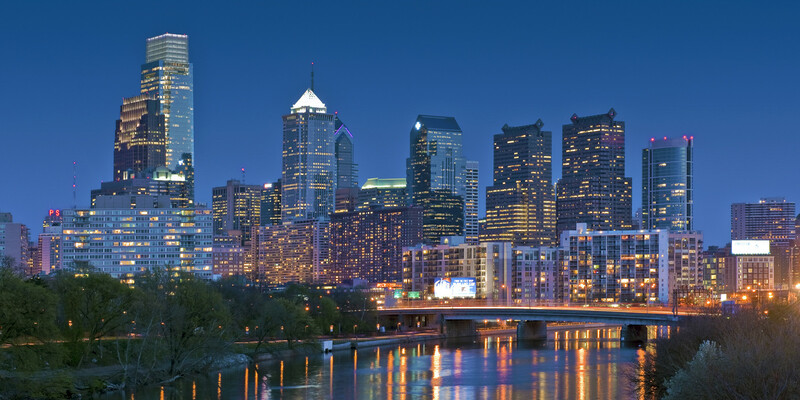 Famous as the birthplace of life, liberty and the pursuit of happiness, Philadelphia offers much more than cobblestone streets and historical landmarks. Cultural, culinary, artistic and ethnic treasures abound in this city and its surrounding countryside. If you’re looking for for live events, such as concerts, art, comedy, music, theater, etc.. check out our local events calendar. But if you’re looking for other date ideas, or fun things to do in Philadelphia, check out some of these awesome attractions. The lines out the door explain it all because people across the city crave deep-fried treat. The original location for Federal Donuts in Pennsport has perfected the combination of Korean-style fried chicken and delectable donuts, selling out regularly since opening in the fall of 2011. Early risers can choose from fancy donuts with changing flavors like mint chocolate cookie, lemon bar, maple bacon and spicy PB&J or hot and fresh donuts with a dusting of strawberry fennel, Turkish mocha and more. Coffee, of the hot and iced varieties, round out the incredible delicacies available at this triple-threat. One Liberty Observation Deck, which opened recently in November 2015, provides Philadelphia with panoramic bird’s-eye views of the city from the 57th floor of One Liberty Place in downtown Philadelphia. Currently the tallest standing attraction here, One Liberty makes an ideal locale for this key new urban attraction. It consists of three levels — the ground floor entry, a second-floor ticketing lobby and the 57th-floor observatory. At 883 feet above street level, the observatory offers 360-degree views of Center City and well beyond, with opportunities to view the cityscape in every direction. Situated at the intersection of Frankford and Girard Avenues on the Southern tip of Fishtown, Johnny Brenda’s is, at once, the catalyst, champion, living room, kitchen &dining room and concert hall of its burgeoning neighborhood. It was once a rough-around-the-edges neighborhood tavern with a dilapidated boarding house above it but has been converted into a chronically-filled gastro-pub, where table seats can be few and far between, with a beautifully restored, 250-person live music venue just up the stairs. A cold-weather version of Spruce Street Harbor Park, Winterfest houses an Olympic-size skating rink overlooking the Delaware River, ski chalet-style lodge and winter garden with recycled shipping containers, a heated tent, holiday trees, fire pits and plenty of cozy seating. It is one of Philadelphia’s must-see winter attractions, offering family-friendly activities by day with amazing holiday lights, delicious food and cocktails by night.